CENTRAL CITY -- Alice Lake, 85, of Soddy Daisy, Tenn., formerly of Central City, died at 9:15 a.m. Monday, June 14, 2010, at her residence. She was born in Muhlenberg County June 19, 1924. She was a member of United Methodist Church, Central City. Survivors include her son, Ben (Susan) Lake of Soddy Daisy; grandchildren, William B. Lake of Soddy Daisy and Gina (Ron) Barrow of Wingo, Ga.; five great-grandchildren; and a sister, Genevieve Elliott of Elizabethtown. Graveside services will be at 1 p.m. Wednesday at Rose Hill Cemetery. 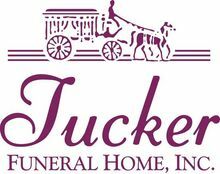 Visitation: After 11 a.m. Wednesday at Tucker Funeral Home, Central City. Expressions of sympathy may take the form of donations to Hospice of Chattanooga, Tenn. Envelopes will be available at the funeral home.